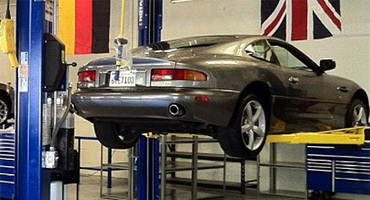 Service and repair of BMW, Mercedes Benz, Volkswagon, Audi, Jaguar, Porsche, and Volvo. 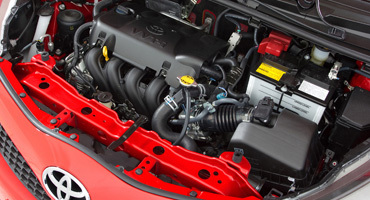 Service and repair of Toyota, Hyundai, Kia, Nissan, Mazda, Honda, Ford, General Motors, & Chrysler. Luxury, Family, and Performance Cars for sale. Quality European, Asian, and Domestic vehicles. to our customers. Sign up for our Meritage Membership to receive email specials & promotions. Includes Filter & up to 7 QTs oil. Including Synthetic. Offer applies to Mercedes, BMW, Porsche, Jaguar, Audi, Volvo, & Mini. Example Coupon, not valid. Sign up for membership to receive coupons for free by email with no obligation. For over 12 years, Meritage Automotive has been proving the Auburn Community with quality pre-owned European, Japanese, and Domestic vehicles. Our no-pressure sales approach makes our customers feel at ease in their car shopping & buying experience. Our ASE Certified and factory trained technicians have years of experience in servicing and repairing European, Japanese, Korean, and Domestic vehicles. We service BMW, Mini, Mercedes-Benz, Volkswagon, Audi, Volvo, Smart, Jaguar, and Porsche, and all makes and models of Japanese, Korean, and American made cars. 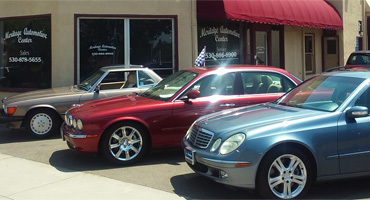 Cars sold and serviced at Meritage Auto are tested and driven by our service and sales staff. Each vehicle is thoroughly inspected and had has regular maintenance performed to ensure you are getting the best used car possible.